In this post, Sassy Molyneux discusses issues related to community engagement evaluation relevant for health policy and systems researchers interested in gender and ethics. What are the community engagement activities we are evaluating? It is often difficult (but important) to understand the relationship between community engagement activities and the health research study that they are linked to. The study itself may well involve community engagement or even – in the case of community based participatory research – be led by communities. Our health policy and systems research may well have inbuilt community engagement, making it difficult to disentangle the community engagement elements from the intervention(s) in which they are embedded. Unpacking the various elements of the intervention(s), including public/community engagement elements, and considering what they are expected to achieve, is therefore likely to be a key starting point in designing a community engagement evaluation in health systems research. Taking multiple perspectives and viewpoints into account. An interesting analogy was shared at the meeting by Jim Lavery. 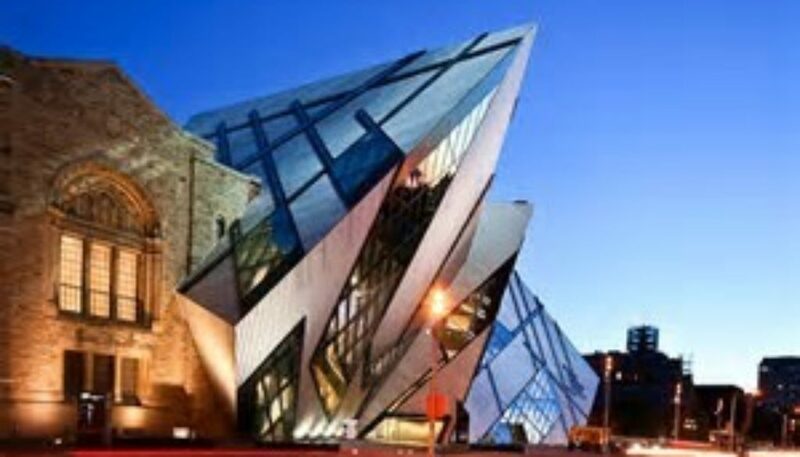 He said that community engagement was rather like architecture, where a building’s look can be highly appreciated by some members of a community, and thoroughly disliked by others (see for example the Royal Ontario Museum below); where options of the building are likely to differ significantly between communities of architects, and between communities of users of the building. This analogy suggests that evaluations of community engagement must recognise that different players – researchers, health managers, community members, funders – may have very different perspectives. In deciding on whose perspectives to include in evaluations, we should consider competing interests and if and how the voices of the least vocal members of communities have been included. This is likely to require an intersectional lens, whereby the range of social stratifiers (eg gender, race, age, class, (dis)ability and/or sexuality etc), that intersect to influence health needs, experiences, and outcomes are considered. Recognising fuzzy distinctions between community engagement, public engagement, and wider stakeholder engagement. To support sustainability of public/community engagement activities, and to reach wider audiences, health policy and systems researchers increasingly engage stakeholders at multiple levels and from early in research processes. These activities are often considered as supporting uptake of research findings once the study is complete, but can overlap with community and public engagement. For example, policy makers can be a gateway to broader publics and communities. Consequently, as well as considering multiple perspectives at local levels, evaluations may need to consider perspectives at national or higher levels. Reflecting on the positionality of the evaluation team. There can be advantages and disadvantages of evaluators being part of the community engagement intervention team being evaluated. Advantages can include depth of understanding of the intervention (and context) and levels of trust built over time, whereas disadvantages can include an interest in proving ‘success’ of activities, and an inability to see things more easily observed by an outsider. For health systems research, as for other research, one potentially valuable option is to bring together a team of evaluators, which includes both ‘insider’ and ‘outsider’ perspectives, and which incorporates different types of backgrounds and experience. Critical team members are likely to be people with strong local cultural and language knowledge and the ability to facilitate input and perspectives from those with the least voice locally. Being proportionate in evaluations, and aiming for depth over breadth. Recognition of the complexity of community engagement activities has the potential to lead to large and expensive evaluations, which also take up the time and energy of those who contribute as participants. Without careful planning, these evaluations do not necessarily provide valuable information. Our meeting discussions highlighted the need to keep evaluations proportionate to the engagement activities, and in some cases to strengthen the depth of learning over breadth of topics/issues covered. Depth might be achieved by working out what has contributed to apparent successes and failures with regards to the intended goals of engagement, and doing this through selecting a design that is appropriate to the type of evaluation being planned. Realist evaluation can be particularly useful where there is an interest in building an understanding of ‘what works for who in what circumstances and why’, encouraging us to identify the underlying mechanisms at play for specific outcomes in particular contexts. Drawing on the wide range of available resources. One of the organisers of the workshop was Georgia Bladon, who has facilitated the development of the MESH website, a space for community engagement with health research in low- and middle-income countries. MESH is a repository of 67 guides, tools and reports and papers to help develop the community engagement field. Something I found particularly useful was their map of the evaluation materials. For social science and especially qualitative and participatory work more generally, another potentially valuable website under global clinical trials is global social science. And finally, to support an intersectional lens to analysis, and gender analysis, there are a range of materials available on the DFID-funded RinGs website. These include a how to guide on gender analysisand a ten best resources on intersectionality guide.